Wadjet Eye Games founder Dave Gilbert has been interested in adventure games since 1986, when his mother made the mistake of buying him a copy of Infocom’s Wishbringer. Fifteen years later, he discovered the Adventure Game Studio engine and began making his own ever since. 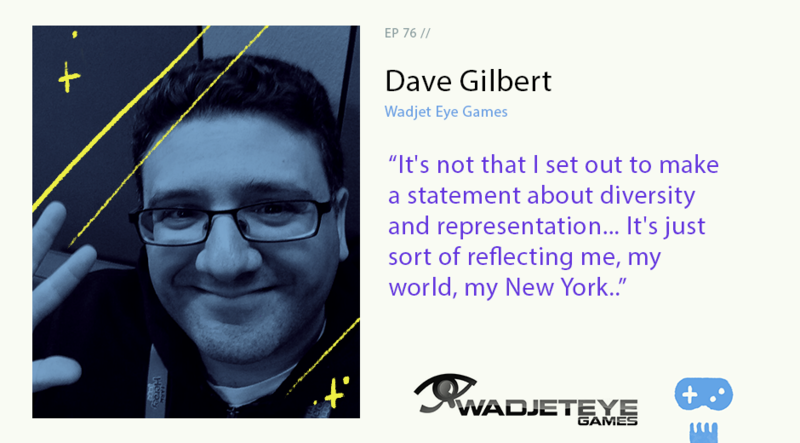 Dave joins our host Jason Imms this week to discuss how he moved from a career in the garmet industry to running one of the most prolific adventure game studios and publishers in the world.